Reforming the pension system will require considerable legal, administrative and technical issues to be worked out, writes Ger Tyrrell, so expect much debate around this matter in the coming years. Reform of the pension system in Ireland is necessary and long overdue. Under the National Pensions Framework, it is proposed to change the PRSI yearly average contribution system to a total contributions approach by 2020. It has been suggested that 30 years full contributions (paid or credited) would be required to receive the maximum rate of pension. Those with less than 30 years contributions would be paid on a pro-rata basis. The hope is that under this new approach the number of PRSI contributions recorded over a working life will be more closely reflected in the rate of pension received. For those with shortfalls in contributions at pension age, it is proposed that they will be allowed to continue to make contributions to make up any shortfall and an actuarial increase will be paid from the date of claim. As this is a very significant reform with considerable legal, administrative and technical issues to be ironed out, we can expect much discussion around this matter in the coming years. The table below sets out the rates of pension payable based on the current system of yearly average PRSI contributions during an individual's working life. This calculation should be done by first determining the number of contribution years, beginning with the year the social insurance contributions commenced and ceasing on the last full contribution year before reaching 66 years of age. These are referred to as 'total contribution years'. Full rate paid PRSI contributions and credits over the same period are then counted. These are referred to as 'contributions and credits'. The yearly average is calculated by dividing these contributions and credits by the total contribution years. 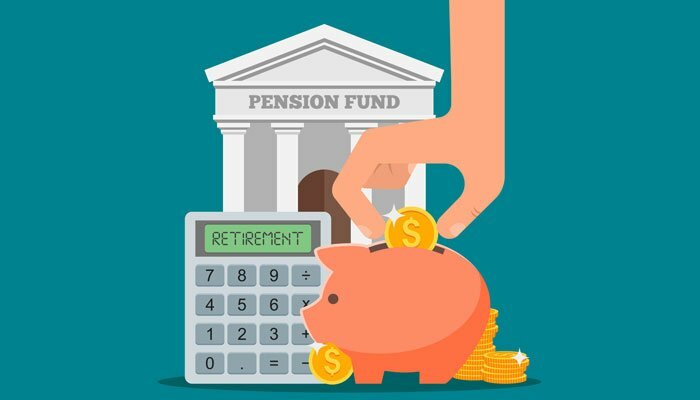 The result will determine the yearly average PRSI contributions and thus the corresponding weekly rate of pension as set out in the table above. If the individual has no other income, then the level of State Pension will be below the income exemption limit for income tax purposes, and so no income tax or USC will be due. Where the individual has other income which pushes total income for the individual above the exemption limit for Income Tax purposes, all income will be taxable under PAYE with income tax and USC levied as applicable (No PRSI). There is an income tax exemption available for individuals age 65 and over, currently subject to these limits: Single/widowed/surviving civil partner, €18,000; Married or in civil partnership, €36,000; for those with dependent children, the exemption is increased by €575 for each of the first two children and by €830 for each subsequent child. Where an individual's income is not much above these amounts, they may get what is called 'marginal relief'. That means that they do not go back into the normal tax system, instead they pay tax at a rate of 40% on the amount by which their income exceeds the relevant exemption. The point at which marginal relief ceases to be of benefit in terms of tax paid varies with an individual's circumstances and the tax credits to which they are entitled. Depending on the level of income above the exempt amounts, it may be more beneficial to use the normal 'tax credits' basis. Where any clarity is required in this regard at retirement, individuals should contact their local Revenue office. They recommend that individuals attempting to calculate their future State Pension Contributory entitlements should first request a copy of their social insurance record as currently held by the Department. Once received the department recommends that possible future State Pension Contributory entitlements for an individual should be determined by reviewing this social insurance record in conjunction with the information on the eligibility conditions and current payment rates for the State Pension as per the FAQ section on welfare.ie.